Hello. Something I'm a bit confused on, and thought I should ask about before I went ahead and tried it. 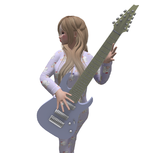 I'm considering using multiple avatars in order to generate L$ for my main avatar more easily. I've had a look through the SL terms of service and didn't see anything, and I know that some users have alts, but I thought it best to ask anyway; would I be violating any rules or community standards by using two avatars simultaneously to generate L$ through different activities, provided that neither of them is a bot? Similarly, is there any restriction on transferring L$ between avatars that I own? And finally, this wiki page mentions the consequences for running "illegitimate alts," but beyond alts registered with inaccurate information, fails to define the term Can someone help me to understand, please? Thank you for your time. Is it ok to create multiple nicknames and let them connect to get traffic up? If this is forbidden how to report it?